With the way that weeks seem to zip by in a blink, it’ll be 2018 before you know it. I’ve been trying to mentally walk back through all the places I’ve been and things I’ve seen this year. As someone who often feels like they never go anywhere and never does anything but work, this type of reminiscing is good for me. It is so easy for me to succumb to what have you done for me lately thinking. 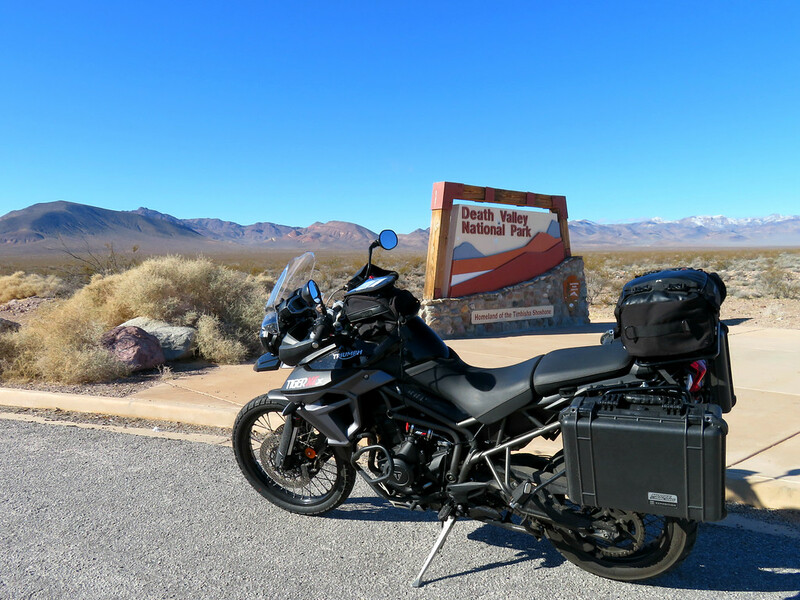 Hell, I just reminded myself that I started the year off by leaving Las Vegas and spending New Years Day in Death Valley, California. I’d completely forgotten. Isn’t that sad? So on the heels of that, I’m putting together some 2017 in Review posts – photos, notes and whatnot recapping the year. Why not join me on your own blog? Tell us about your 2017. In your 2011 review, most of you posts were about east coast locals and rides. I live in NJ and noticed many from ADVrider.com. Are you/ were you east coast based?